Benchmark indices are expected to continue to focus on the rupee after the Indicn currency dropped another 72 paise on Monday to a record low of 72.45 against the US dollar. 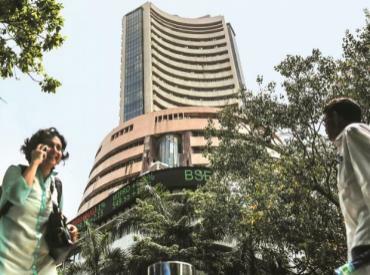 The drop in the rupee roiled the financial markets with the BSE’s Sensex shedding 468 points and the yield on 10-year government paper touching a four-year high of 8.15 per cent. It has fallen over 13 per cent to the US dollar since January 2018, making it one of the worst performing currencies in Asia this year. Among macro data pointers, investors will also look out for July industrial production, August CPI inflation due on Wednesday and WPI inflation data for August to be announced on Friday. Industrial production rose to a five-month high of 7 per cent in June while CPI inflation fell to 4.17 per cent in July, lowest in nine months, driven by cheaper food items. Globally, Asian shares were struggling to snap an eight-session losing streak on Tuesday as investors decided no news was good news on tariffs, while the pound touched a five-week top on hints a Brexit deal might be nearer. MSCI’s broadest index of Asia-Pacific shares outside Japan wavered either side of flat having hit its lowest since July last year on Monday. Japan's Nikkei fared better on the back of a softer yen and climbed 0.6 per cent. The Securities and Exchange Board of India (Sebi) is looking at including non-resident Indians (NRIs) in the foreign portfolio investors quota. Sources said the regulator had written to the central government, seeking its opinion on this. The move could open a new source for foreign inflows into the country, as NRIs are currently not big investors because of regulatory curbs. NRIs usually take the mutual fund route. However, this does not allow them to make company-specific investments. While India, on average, receives NRI remittances of $10-15 billion every year, the total assets owned by NRI investors in Indian equities are less than half a billion dollars, the Sebi data showed. The move to include NRI investments was discussed by the Sebi-appointed H R Khan committee on easing of foreign portfolio investment (FPI) rules. he buyback route, experts say, is a better way to reward shareholders rather than paying a hefty dividend, as the latter is subject to tax. As per law, income by way of dividend above Rs 10 lakh is chargeable at the rate of 10 per cent for individuals, Hindu Undivided Family (HUF) or partnership firms and private trusts.